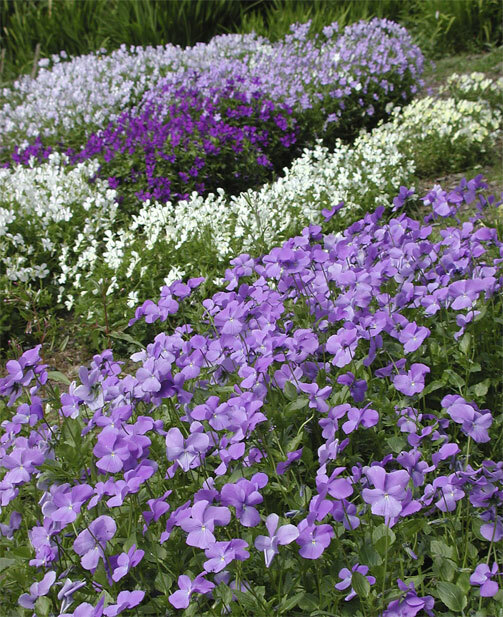 The Violas listed in this catalogue are not the annual seed strains readily available in every garden centre, but the more perennial cultivars raised vegetatively, from cuttings. Many of these cultivars are old, and some have been raised on our nursery. 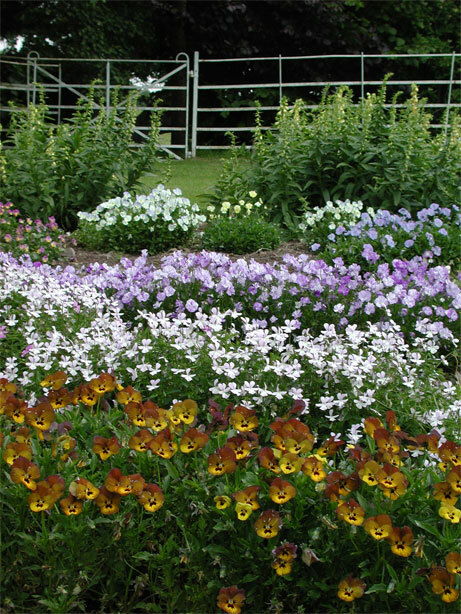 Violas, especially the Viola cornuta varieties, can be good perennials and easy to grow in the right conditions, needing a sunny or part shaded site in fertile free-draining soil, preferably enriched with garden compost or leaf mould (not manure). They dislike wet heavy soils or dry shade under trees and will not thrive in those conditions. A good garden position at the border front or rockery is ideal. They all benefit from cutting hard back to 2-3" in the autumn, this allows new shoots to emerge from the central clump and make neat evergreen growth over the winter. Generally they are pest free but I recommend a routine spray in late spring and early summer against aphids, which can do a lot of damage to emerging shoots at the base of the plant and are not easily spotted.